4"x42" Rebounding Bollard System. 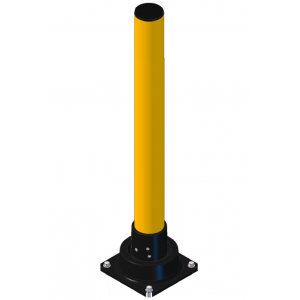 Cover with a 4.5" Bollard Cover to increase height and day and night visibility. 3"x42" Rebounding Bollard System. Cover with a 4.5" Bollard Cover to increase height and day and nig..
6"x42" Rebounding Bollard System. Cover with a 7" Bollard Cover to increase height and day and night..
5"x42" Rebounding Bollard System. Cover with a 7" Bollard Cover to increase height and day and night..